New this week at the 32rd session of the Intergovernmental Committee on Intellectual Property and Genetic Resources, Traditional Knowledge and Folklore, the US document [pdf] titled, “Identifying Examples of Traditional Knowledge to Stimulate a Discussion of What Should be Protectable Subject Matter and What is Not Intended to be Protected,” presents a list of well-known products and activities based on traditional knowledge. The intent of the paper, the US delegate said today, is to facilitate a discussion on which traditional knowledge (TK) should be protected and what should be available for all to make and use without restriction. 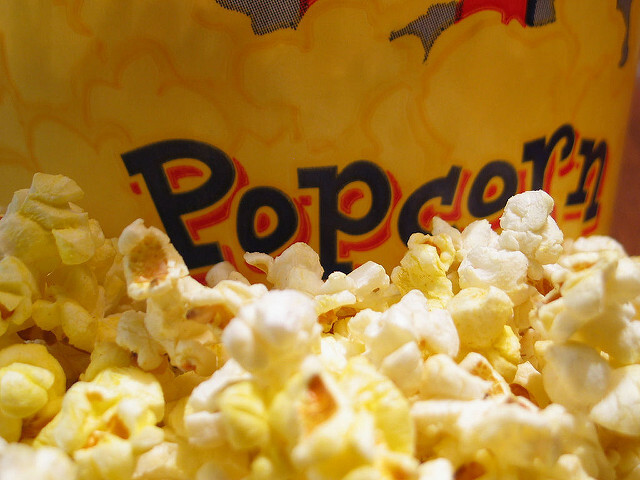 Popcorn, the document says, although mostly consumed in the US, is famous throughout the world, and in 2015 alone, some 1.2 billion pounds of popcorn were sold worldwide. Popcorn dating from approximately 3500 BC was discovered by archaeologists in the Bat Cave in New Mexico in 1948, and remnants of popcorn were found in ancient Peruvian tombs as early as 6700 years ago. In 2014, according to the document, world chocolate revenue reached approximately US$117 billion. Chocolate was first cultivated for use in a beverage discovered by the ancient Mayans and Aztecs. Chewing gum can also be traced back to indigenous peoples, according to the document, as Pre-Columbian Mayans used to chew on natural gum known as chicle, a substance extracted from the sapodilla tree, found in southern Mexico and Central America. As for syringes, although “Alexander Wood of Scotland was credited for inventing the syringe in 1853, it was in fact native North Americans who long before that used a primitive syringe composed of a bird bone to inject medicine into the skin as well as to clean or irrigate wounds, the document says. Football (soccer), the world’s most popular sport, played by over 240 million people in over 200 countries, has existed since the second and third centuries BC when the ancient Chinese first used it as a military training exercise, according to the document. It also looks into anesthetics, for which evidence exists that the ancient Inca around 1000 AD used the leaves of a coca plant as an anesthetic. The document also cites coffee, as “perhaps the world’s most widely-consumed beverage,” as attributed by some to a goat herder in Ethiopia name Kaldi, who noticed his goats extremely energetic one day after eating the red fruit of a coffee plant. Further documented in the US proposal are surfing, antibiotics, rubber, gorgonzola, and tea. The document does not say if those activities and items are protectable or not. The US said those examples should be used to prompt a discussion. Some developed countries would prefer a non-binding instrument rather than a treaty to protect traditional knowledge, with what they see as more convenient, and efficient tools. A number of proposals have been submitted over the last sessions of the IGC, which were re-submitted this week. One is a joint recommendation [pdf] on genetic resources and associated traditional knowledge, submitted by Canada, Japan, Norway, South Korea, and the US. The joint recommendation presents measures to prevent the erroneous grant of patents, such as opposition measures, the development and use of voluntary codes of conduct, and guidelines regarding the protection of the use of genetic resources and TK associated with genetic resources, and the creation, exchange and dissemination of databases. In another joint recommendation [pdf] on the use of databases for the defensive protection of genetic resources and traditional knowledge associated with genetic resources, Canada, Japan, South Korea, and the US, the co-sponsors present a database search system which would be maintained by each participating WIPO member state, and would be composed of a WIPO portal site as well as databases of WIPO member states which are linked to the portal site. Canada, Japan, Norway, South Korea, Russia, and the US also re-submitted a proposal [pdf] for the terms of reference for a study by the WIPO secretariat on measures related to the avoidance of the erroneous grants of patents and compliance with existing access and benefit-sharing systems. This proposal suggests updating the WIPO Technical Study on Patent Disclosure Requirements Related to Genetic Resources and Traditional Knowledge, dating back to 2004. The European Union re-submitted a proposal [pdf] for a study focused on recently adopted legislation and initiatives on TK in general among WIPO member states, or regional areas. The EU proposes that the study build upon existing materials and studies already conducted by WIPO, and that it analyses domestic legislation and concrete examples of protectable subject matter and subject matter that is not intended to be protected. The study should also look into existing IP rights regimes, alternative regimes, and databases. The EU proposal was supported by a number of countries, such as Chile, Canada, Guatemala, South Korea, and the US. A representative of the Tulalip Tribes of Washington state remarking on databases, warned about a remedy that could prove worse than the disease. Creating a portal system, such as the one proposed in the joint recommendation, could lead to more harm than good, he said, adding that the erroneous granting of patents is but one of the issues indigenous peoples are facing when trying to protect their knowledge. The database approach has been taken by some parties, so they do not have to go through a disclosure of origin in IP applications, and believe “that databases will solve their problem,” he said. However, documenting their knowledge is a huge issue for indigenous peoples, he said. Even if in some countries indigenous peoples might be willing to do so, in the US most elders have said they would never put their knowledge into databases, he said. At issue is widely diffused traditional knowledge, understood by some to be part of the public domain, and available. However, he said, many principles in international and national instruments suggest that there is no limitation in time of the protection of indigenous peoples as it is part of their cultural identity. "Popcorn, Football And Chocolate – US Idea To Prompt Discussions At WIPO TK Committee" by Intellectual Property Watch is licensed under a Creative Commons Attribution-NonCommercial-ShareAlike 4.0 International License.